We talk to hundreds of people every week looking to sell cars for cash. Unfortunately, most of these people have had a family emergency, a car accident, or a breakdown. We recognize that people looking to sell cars for cash are usually having a bad day, and that the quality of our customer service can go a long way to try to help turn it around. If you're looking to sell your car for cash, we would appreciate the opportunity to prove that we're professional, personable, and can offer the most cash possible. We treat every car and customer on a case by case basis. We'll normally need about five minutes of your time to figure out the cash value of your car. The majority of the cars we buy don't run or have been in an accident. Getting the year, make, model, and current condition will usually allow us to make a cash offer on the spot. When a customer has a car is working condition, but is in need fast cash, we might ask for 10 or 15 minutes to make some calls to our network of used car dealers and auto auctions to determine how we can offer the most cash possible. No matter whether if your car is junk or a two year old Toyota, we always have free car removal and we can usually pick it up, cash in hand, within one business day. We're simply the best option for people looking to sell cars for cash. 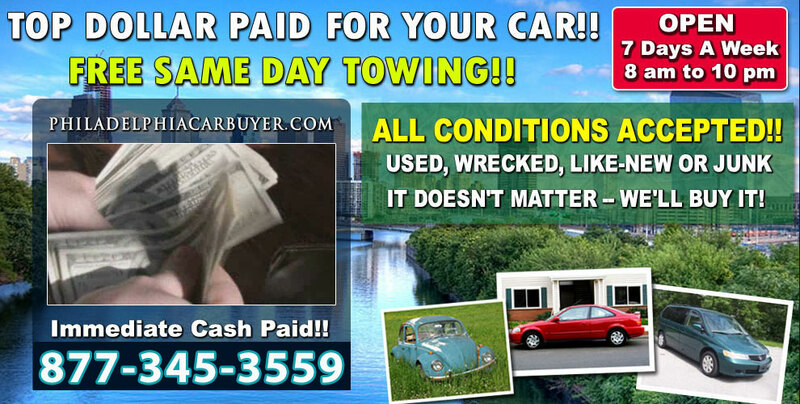 Sell Your Cars For Cash Today! Turn Your Cars Into Cash Now!